Following the 3D printer’s instructions online and in the book that came with it, I heated the print head up to working temperature, then carefully used a pair of tweezers to tweeze any filament off the brass nozzle. Doing this a few times removed quite a bit of the stringy stuff. 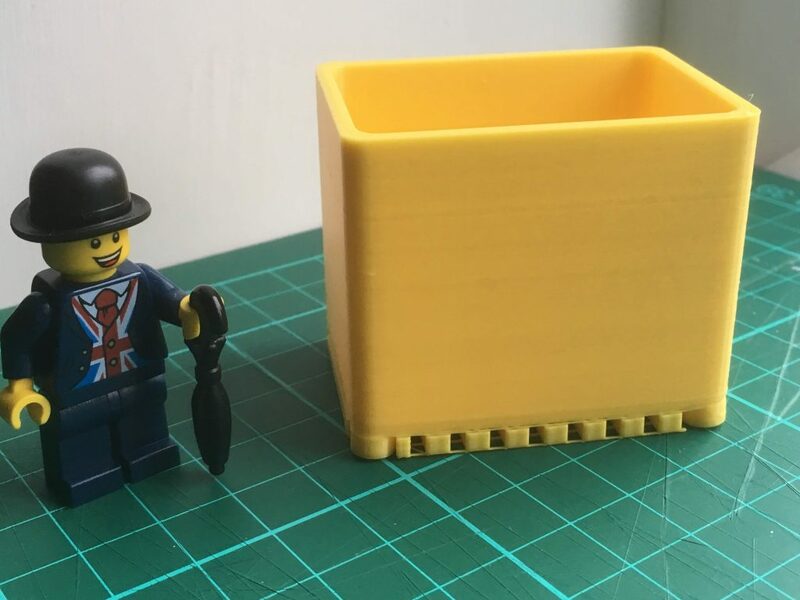 Then I tried another print job, and here is the result, with a Londoner for scale. The stringy version last time was caused by a partly-blocked nozzle. In the picture above, it looks like the supports are quite solid. They were easy to break off with fingers. 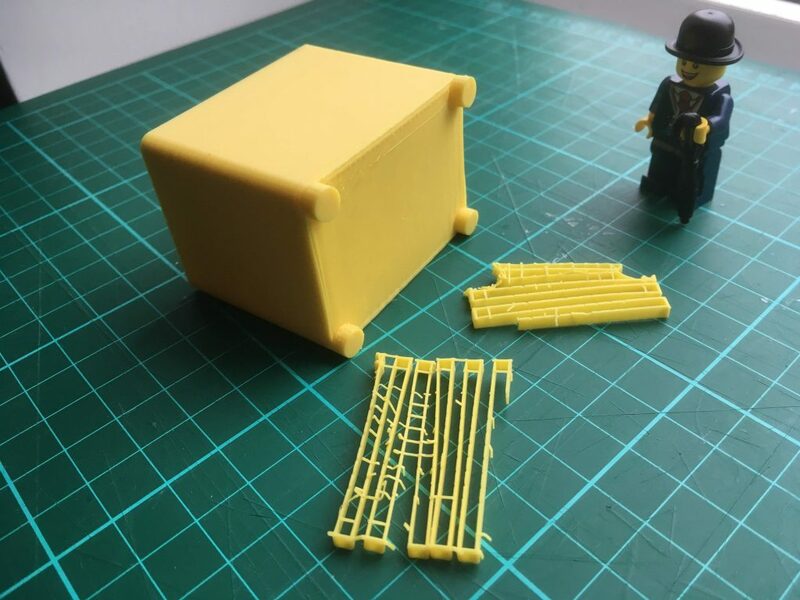 The photo below shows what the supports are like and also shows off the clean base of the box. Compare that with the previous one. And the one before that. There were a few rough spots on the base and on the inside of the container, which just need a bit of gentle filing to correct. It’s sturdy, and as functionally good as the original. As mentioned before, I’m using Cura to slice the model, because Cura can export to .g3drem files. I corrected my Cura settings by reading the GitHub page of the guy who wrote the .g3drem plugin. Why is reading the documentation the LAST thing we ever do? 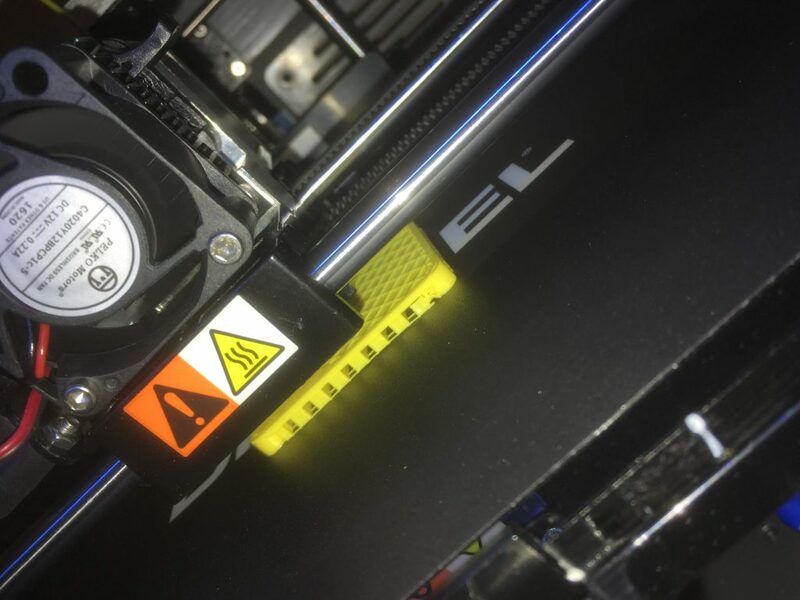 This entry was posted in 3D printer, Lego and tagged 3D printer, 3D20. Bookmark the permalink.